They were given one of the most dangerous tasks in policing: Take down MS-13. They were bankrolled by the United States and trained by FBI agents. 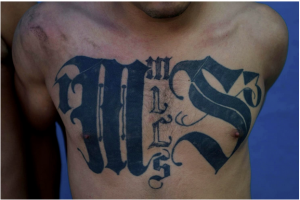 But members of the Salvadoran police have been killed by the dozens in each of the past three years, most in attacks that investigators and experts blame on MS-13, an international street gang. At least nine officers were killed in the first month of this year. Now, a number of El Salvador’s police officers are fleeing the gang they were tasked with eliminating. There is no list in either El Salvador or the United States of Salvadoran police officers who have fled the country. But The Washington Post has identified 15 officers in the process of being resettled as refugees by the United Nations and six officers who have either recently received asylum or have scheduled asylum hearings in U.S. immigration courts. In WhatsApp groups, police officers have begun discussing the possibility of a migrant caravan composed entirely of Salvadoran police — a caravana policial, the officers call it. We see it in the headlines week after week after week—another 30 to 40 people shot in Chicago over the weekend, with a dozen or so fatalities. The numbers seem so mind-boggling that we can sometimes forget that they represent real people, not just statistics quoted by politicians to call for more—and more restrictive—gun control laws. What’s really going on in Chicago? Are the streets as mean as local newspapers would have you believe? And can we have a legitimate opinion concerning the violence on the Windy City’s South Side simply by listening to debates over proposed anti-gun laws? In truth, the violence problem plaguing many Chicago neighborhoods is much more complex than most of us think. Who Shot Zaevion Dobson, and why? When will we address the real issue in school violence, our troubled youth?